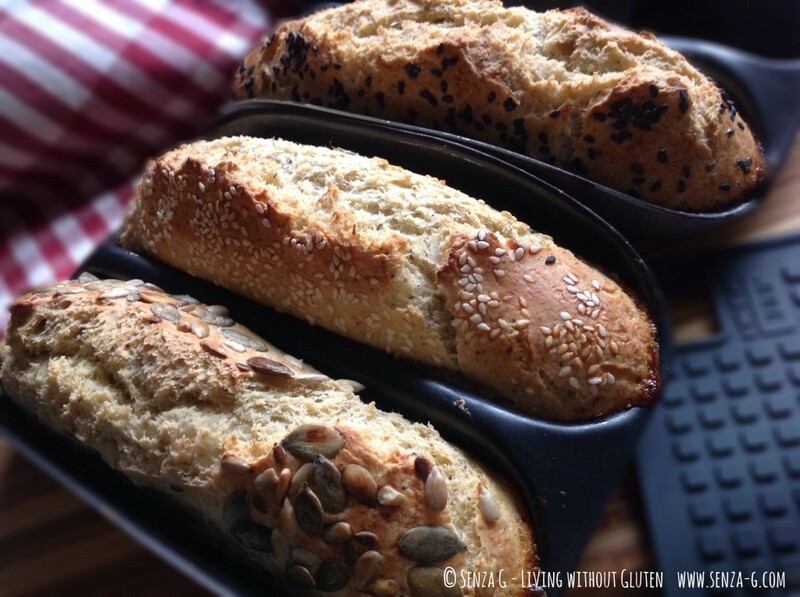 I am learning, yes still learning, but I can say that I have improved drastically especially when it comes to Gluten Free Bread … as some would say, the Holy Grail of a Celiac or Gluten Intolerant! I tried and tested this recipe, even froze the bread and then heated it up in the oven again. It tasted like wheat bread … let us not exaggerate here, well closer … but it is one of the best I have made. At least it does not leave or have that Gluten Free taste which I seem to loathe. 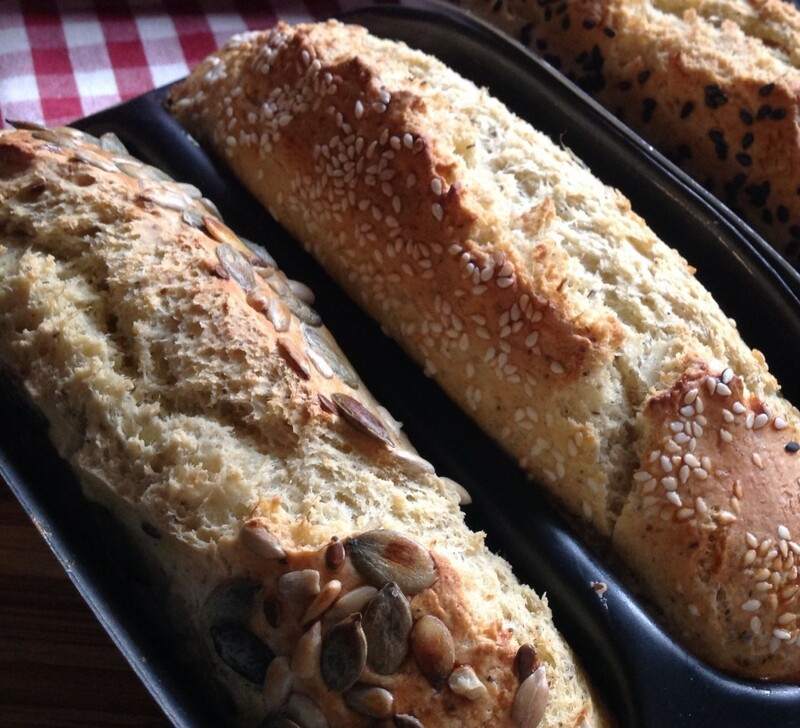 I have used, apart from the usual starches, quinoa and buckwheat flour, as well as flax seeds and psyllium husk, all these contributing to a healthier version of the usual Gluten Free bread, giving it more protein and fibre. I noticed that this bread did rise quite a bit even once in the oven. My advice is to not overfill the baguette trays or not to make it too high if you are leaving it free-form. I would appreciate your comments if you try this out. I enjoyed it as I did not have to toast it to eat it. I will still tweak here and there till I am fully satisfied! I hope you will like it! Just a small note. It is of utmost importance to weigh accurately so use digital kitchen scales. Combine all the dry ingredients together with a whisk in a mixing bowl. 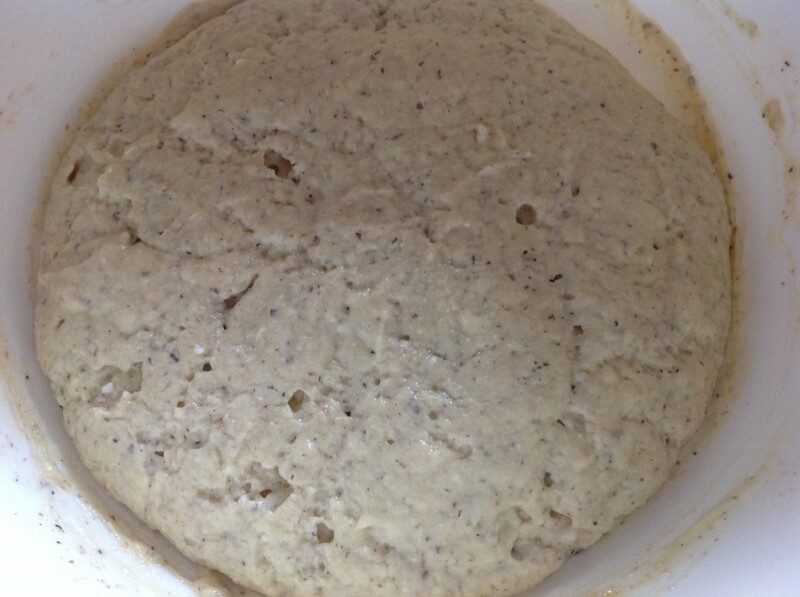 Dissolve the yeast together with the sugar in the small bowl in the warm milk and set aside to let it foam. 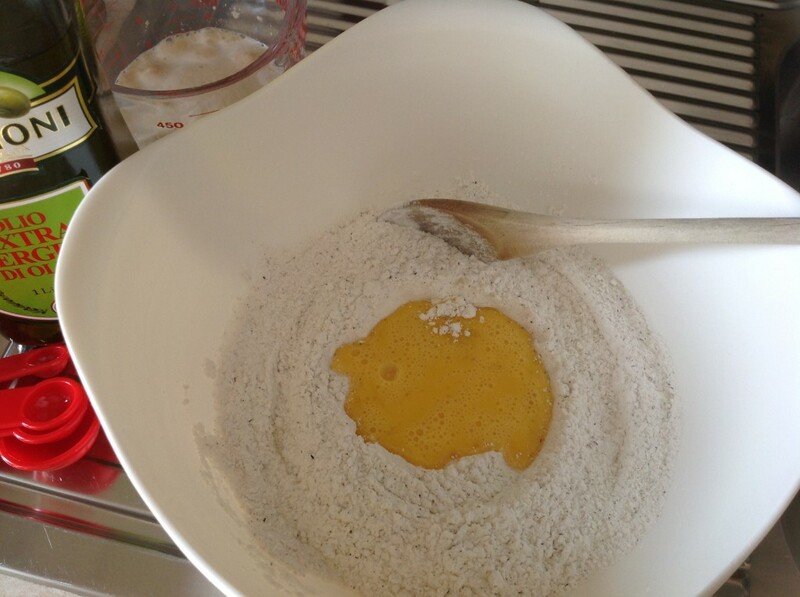 Add the beaten eggs to the flour blend, stir and then add the yeast mixture, and lastly the oil. Using a spatula, combine everything until the ‘dough’ looks smooth. Cover the bowl with cling-film, place in a warm place and leave to rise for about 30 minutes to an hour. Preheat the oven to 200 deg C. Place a silpat or a baking sheet on your counter. Lightly dust it with more starch or any gluten free flour. Take the bowl and scrape the ‘dough’ onto the paper or silpat. The dough will be very soft and airy. Sprinkle a bit more flour on top of the ‘dough’ and using your spatula, scrape and shape at the same time rolling the ‘dough’ over in the flour. You do not need to use your hands, just move it and shape it around with your spatula. 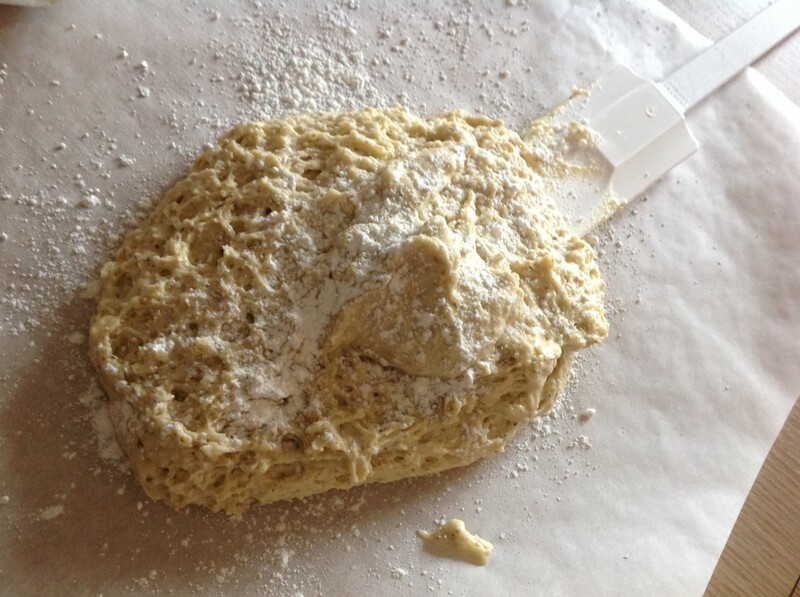 Besides it is too sticky to mould with the hands and adding more flour will make it dense. If you are going to make one loaf, then shape it into an oval shape, brush it with oil, and dust with a little more flour. Cut slits on the top using an oiled knife. If you have baguette pans, divide the ‘dough’, using your spatula and place in the greased pans. Make them shallow as it will rise. You can brush them with milk instead of oil, at the same time smoothing the top. Sprinkle seeds over the top pressing them down gently into the dough. Place in the oven and bake for 40 to 50 minutes, until the crust is nicely browned and the loaf/rolls sound hollow when tapped. Leave to cool completely before slicing. This is how they came out of the oven. I was pleasantly surprised to say the least. I never expected them to look like this, expand and stretch just like wheat bread! And in the baguettes, I did not even cut any slits on top. The taste is far better than what I have tasted so far. And also has a nice and crunchy exterior. The only thing I would change as already explained is maybe make the baguettes lower, that is, less dough in the pan since they do rise. It would not be a problem if it was a bigger loaf as you will then cut it into slices, but found the baguettes too high even to eat. And finally a lovely warm ham and cheese baguette straight out of the oven! 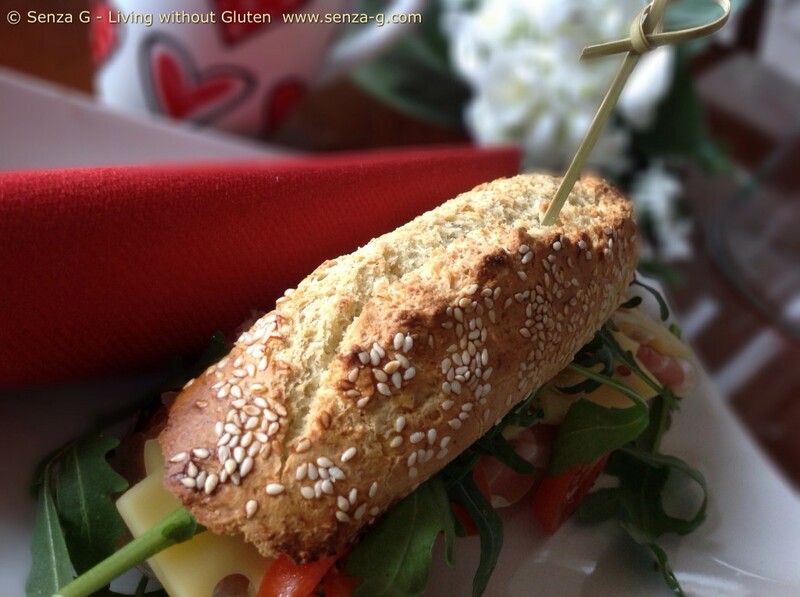 2 Comments: "My Gluten Free Artisan Bread Rolls"
Prosit! Will give recipe a try. 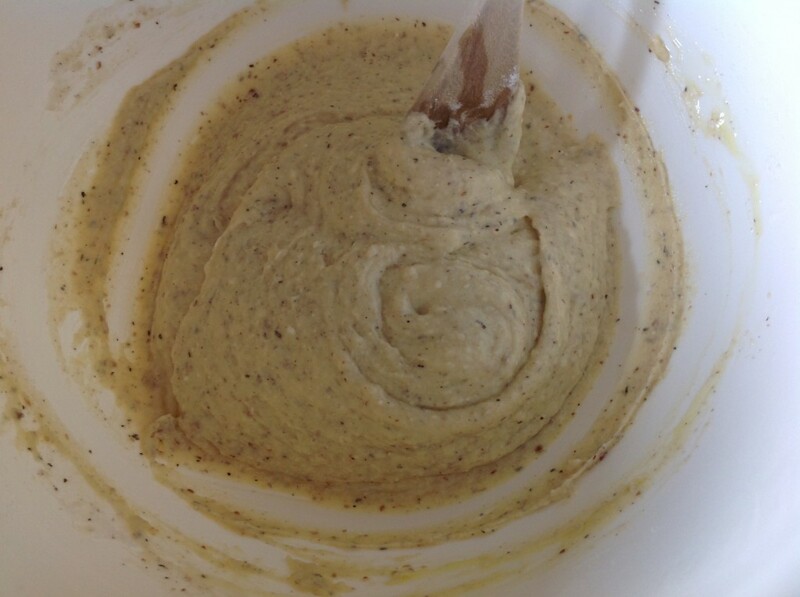 How many baguettes did you make using the above mixture? Thank you Geraldine! Well I managed to get three (approx 7 inch) out of this but again, as I said on the recipe, better if maybe you divide mixture by four since they do rise. Or else if you are doing this the first time, make one whole loaf to see how it turns out. Do let me know and if you have any suggestions, I would be more than willing to hear them!